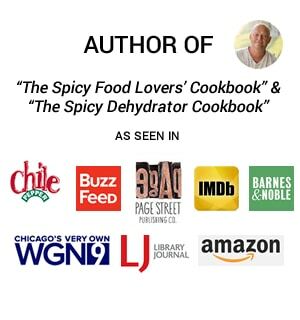 A recipe for quickly made relish with garden fresh heirloom tomatoes and peppers along with a few splashes of vinegar and other ingredients. Great for topping steaks, burgers or other grillers. As most of you know, I keep a good sized pepper garden every year. However! We don’t only grow chili peppers. We also grow a variety of tomatoes each year because nothing beats fresh heirloom tomatoes. I greatly appreciate being able to walk into my garden and pick whatever tomatoes and peppers I’ll be cooking with that day. No matter how good things are, though, all things must come to an end, and alas, this is true of our garden. Frost came through and we had to pick everything or lose it forever. This means picking a LOT of green peppers and tomatoes. 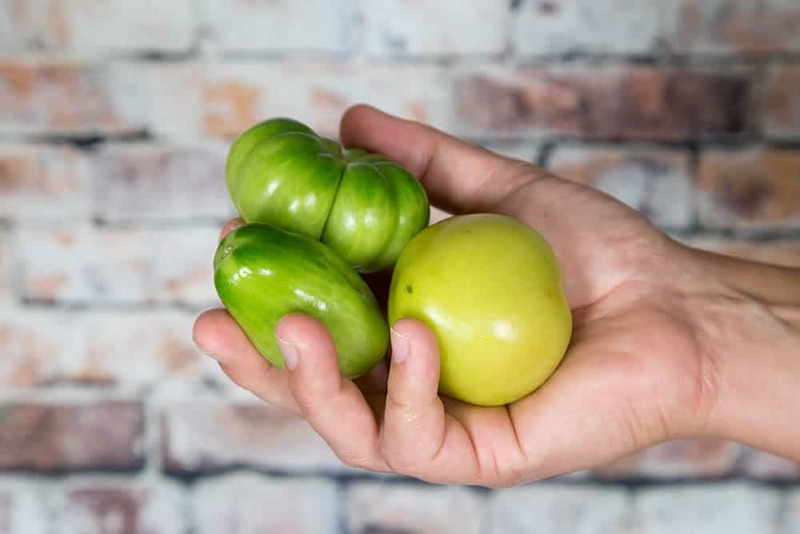 I’ve already posted about How to Ripen Unripe Peppers (and Tomatoes) to help, but what can you do with green tomatoes? We have so many of them! 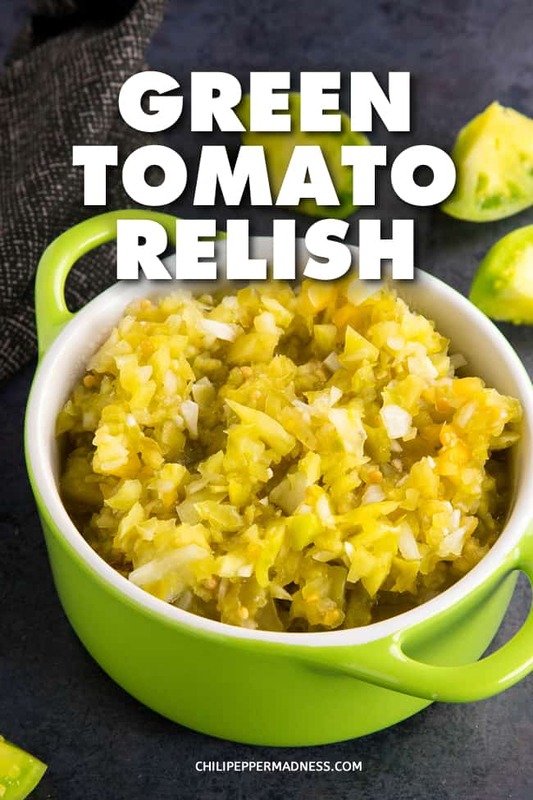 How about making relish! YES! 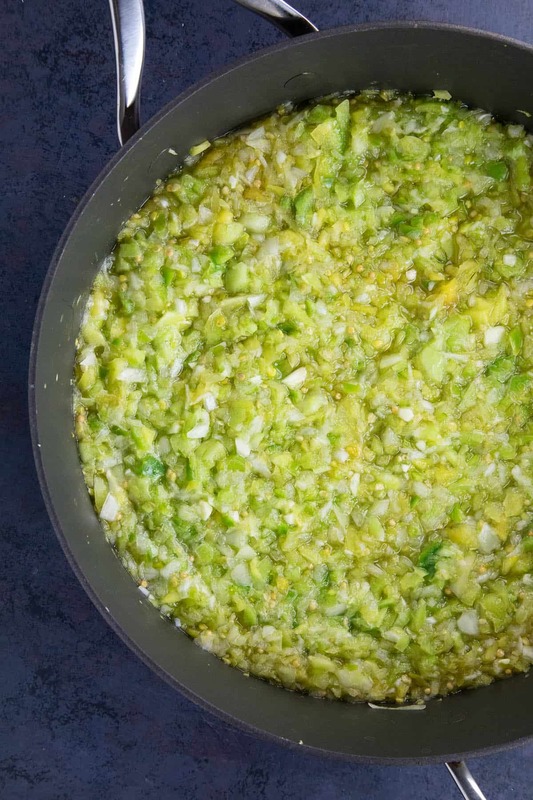 Of course Fried Green Tomatoes comes to mind, but a good relish is always nice to have on hand. 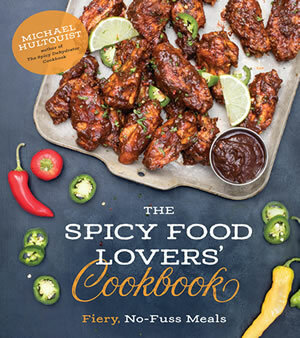 I enjoy it for topping all sorts of grilled, pan seared or baked meats, particularly pork of any kind, chicken breast, as well as Indian dishes. 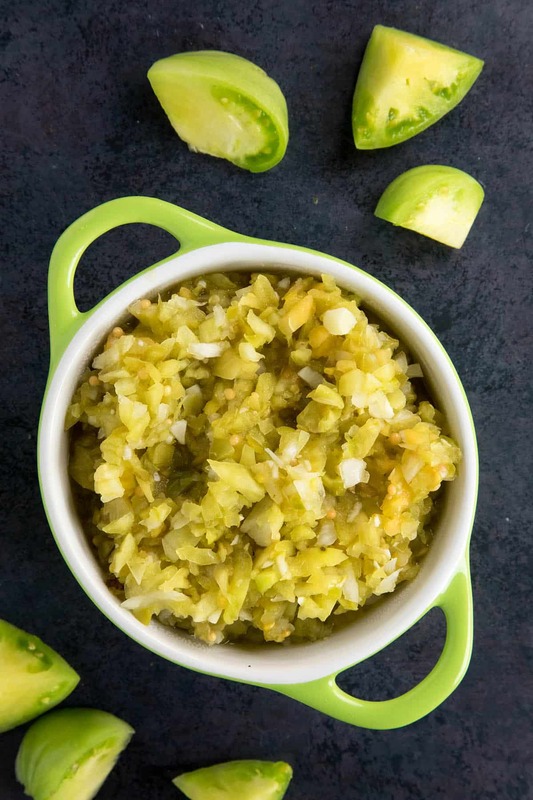 Green tomato relish is an excellent condiment to have on hand, and it will last a good month for you in the refrigerator. I’ve also included instructions for hot packing the relish if you’d like to keep it longer. 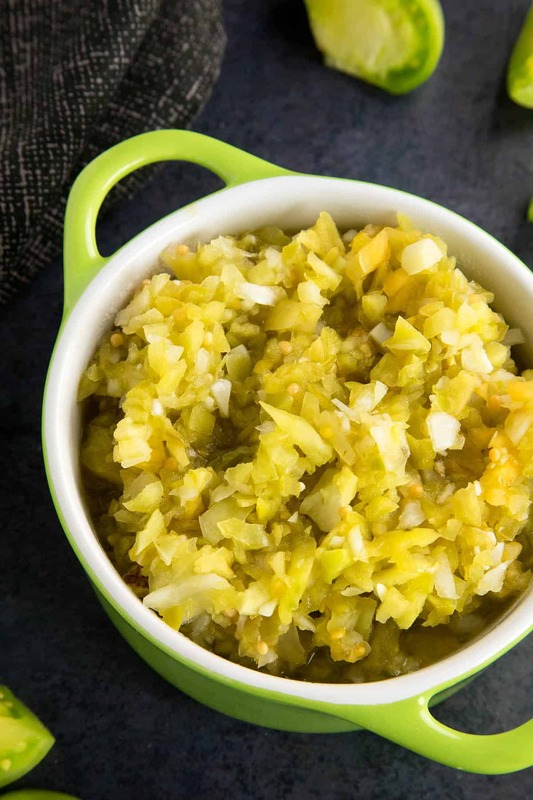 Let’s talk about how we make this green tomato relish, shall we? 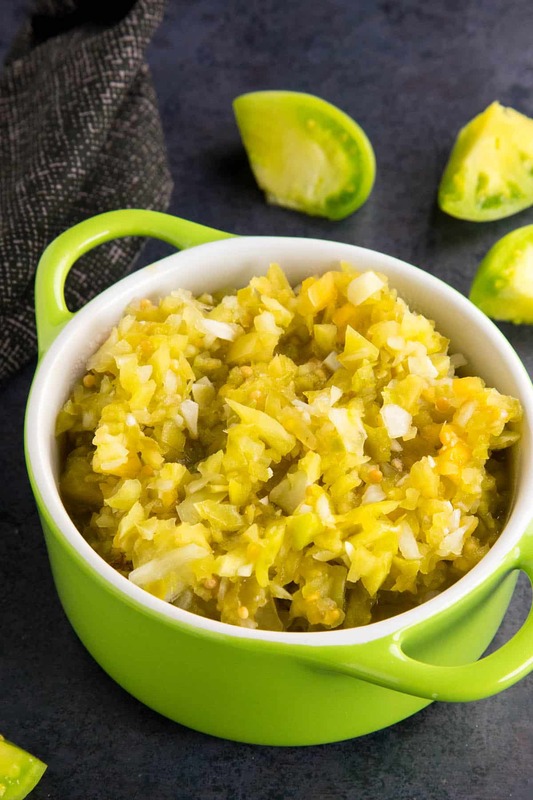 First, gather up your ingredients, including green tomatoes, green peppers of any sort (optional), onion, garlic, fresh ginger, mustard seeds, celery seeds, white wine vinegar, sugar and salt. Process the entire mixture until it is nicely chunky. 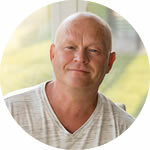 You don’t want to overprocess the ingredients, or it will turn into more of a puree, which we don’t want. We’re looking for texture here, like so. Next, pour the mixture into a pot and bring to a quick boil. Reduce the heat and simmer for 20 minutes. Cool it off a bit, then transfer to cleaned jars. Seal and refrigerate. The relish should last a month or longer. If you’d like to preserve your relish longer, you can use the water bath method. First, clean your jars and lids using a steamer rack in a 16-quart pot. Place the jars on the rack and fill the pot with water, enough to cover the jars. Do not let the jars touch the bottom of the pot, as the heat can cause the glass to crack. Bring the water to a boil and boil the jars for 10 minutes. Remove the jars with tongs when you’re ready to use them. 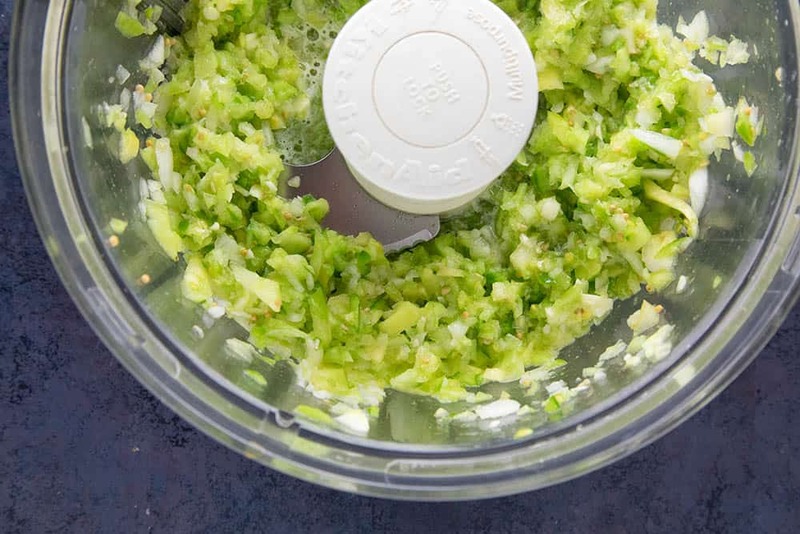 When the relish is ready, scoop the relish into the jars, leaving ¼ inch head space. Clean the lids with soap and hot water, then place them onto the jars. Secure them with cleaned canning rings. Wipe the rims clean. Place the filled jars back into the hot water bath, onto the steamer rack, ensuring the jars are covered with 3 inches of water. Return the water to a boil and process them for 15 minutes. Remove the jars with tongs and tighten the screw caps. The jar lids should make a popping sound as they seal. If a lid doesn’t seal for some reason, you can reprocess it, or store the jar in the refrigerator. Invert the jars to test for leaks. Flip them upright after 10 minutes and allow to cool. Store the jars in a cool, dry place. They will last a year this way. Once you open them, however, keep the jars in the refrigerator. 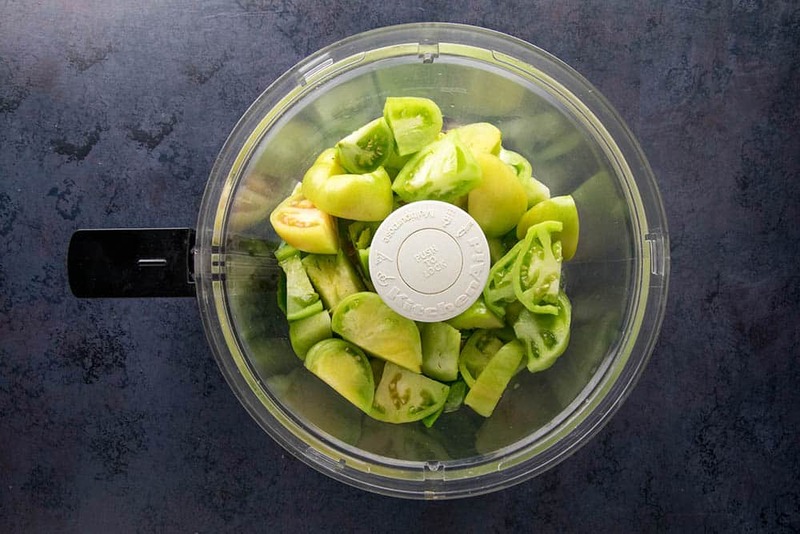 Add all of the ingredients to a food processor and process until the mixture is nice and chunky. Do not overprocess or you’ll turn it into a puree. Pour the mixture into a pot and bring to a quick boil. Reduce the heat and simmer for 20 minutes. Cool, then transfer to cleaned jars. Seal and refrigerate. Should last a month or longer. The jar lids should make a popping sound as they seal. If a lid doesn't seal for some reason, you can reprocess it, or store the jar in the refrigerator. 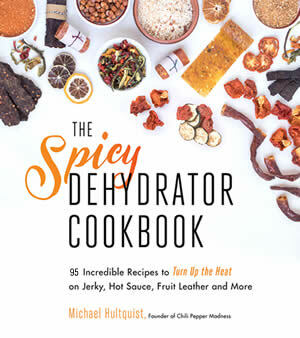 Heat Factor: MILD, though you can easily up the heat factor with spicier peppers or by adding hot powders. I’m growing tomatoes again this year just for this recipe. Wonderful.